As Originally published in The Forensic Examiner, Spring 2007. The powerful weapon cultivated in the realm of terrorism-the videotape- continues to burgeon. In recent years, the American public has witnessed the increased broadcast of audio and video recordings provided by terrorist organizations through foreign news agencies and anonymous sources. These tapes call for a much wider view of the circumstances and methods that are employed in the mind of the messenger. From a forensic point of view, the purpose of the examination of audio and video evidentiary recordings is to evaluate their overall credibility. The authenticity of evidentiary tapes can usually be established through scientifically based testing. In U.S. courts, rules for the admission of evidence are clearly stated and must be adhered to in order for recordings to remain credible in the process of litigation. Civil and criminal evidence is, in most cases, evaluated for authenticity prior to their influence on the perspective judge, jury, and public opinion. However, this emerging trend of influential video, which directly affects homeland security and influences world opinion, has exploded to epic proportions. Some of these videos are provided by respectable news agencies in an effort to report events to the best of their abilities. Other tapes and photographs are provided anonymously to spread propaganda and recruit terrorist members. Whatever the purpose, these recordings must be examined to evaluate the credibility of the images as well as their implied representations. In the world of public opinion, videotape recordings can forever influence the perspective of immediate and future events. One recent example involved controversial reports associated with two videotapes obtained by a national news network in connection with a village near the Syrian border. One of these recordings depicted a typical wedding celebration with music, dancing, and festivities; however, the accompanying videotape, which was reportedly recorded the following day, displayed considerable destruction of a similar area. In combination, the recordings served as testimonial to an implied event not present on the videotapes. The news network questioned whether the tapes were authentic and whether enough factual evidence existed to verify that the visual images on tape one were consistent with the visual images on tape two, suggesting the possibility of a single location rather than the possibility of two different locations with similar characteristics. Barry G. Dickey is the certified forensic expert for Audio Evidence Lab, a laboratory specializing in the Analysis of Audio / Video Evidence. 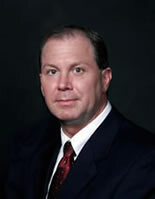 Mr. Dickey has examined evidence in over 1000 cases in the USA and Europe. He has provided expert testimony on issues involving both audio and video evidence. Utilizing DSP technology, analytical equipment, and microscopic resolution, Mr. Dickey employs scientifically accepted techniques to provide the critical evidence required in the courtroom.